For well-over 40 years, Coast Valley Moving & Storage, Inc. has provided the most affordable, reliable, and comprehensive solutions for moving and storage in Laguna Beach, CA. Since 1972, we’ve completed countless corporate and household moves into and out of the sunny shores of Los Angeles County. No matter how specialized or difficult your moving needs may be, our experienced and friendly Laguna Beach movers have the expertise to deliver a stress-free moving experience every time. Coast Valley’s entire staff, from account managers to packers and drivers, is highly trained to provide excellence in Laguna Beach moving and storage solutions. From free in-home or in-office cost estimates to full-service packing options, our Laguna Beach movers provide uniquely customizable solutions to fit any deadline, budget, and preference. Local Movers: From Laguna Beach to Laguna Hills or Laguna Niguel – our experienced local Orange County movers handle any residential move with ease. Interstate Movers: Moving across state lines adds extra challenges, but our Laguna Beach interstate movers will treat your move with the attention it deserves. 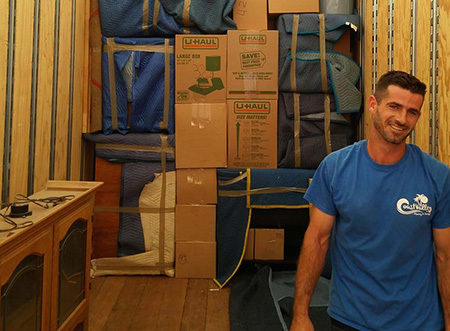 Long Distance Movers: No distance is too far for Coast Valley Moving & Storage, Inc. Rely on us for a seamless and worry-free long-distance move. Specialized movers: Our team is trained to handle even the most delicate, fragile, and irreplaceable items. Trust us with your pianos, art, and even cars! Storage: Our local storage facility is equipped with fire- and theft-prevention systems for maximum security. Short- and long-term options suit any household or business need! At Coast Valley Moving & Storage, Inc., we’d love to show you why our customers rank us as the best Laguna Beach moving company – and among the top Orange County movers. To request your free, no-obligation in-home estimate for the most efficient, stress-free, and affordable residential move, call your friendly Laguna Beach movers today or fill out our quick online form!